A life-long resident of Indianapolis, Indiana, David graduated from Indiana University in Bloomington, Indiana, where he received a Bachelor of Science Degree in Public Affairs with a specialization in Law and Public Policy. David began his professional career working for the Indiana State Republican Party as a Voter Name List Coordinator and subsequently as State Legislative Campaign Coordinator. In 1988, Governor Robert D. Orr named David a Sagamore of the Wabash for his service to the State of Indiana. Enjoying the political arena, but not wanting to live and die by the election cycle, David pursued a career in governmental and regulatory affairs working as an intern and then Governmental and Regulatory Affairs Assistant for The Associated Group (aka Blue Cross Blue Shield of Indiana), and a Regulatory and Legislative Affairs Representative for ITT Educational Services, Inc., owner and operator of the ITT Technical Institutes. After 15 successful years working in his field of study, David decided to pursue another passion and enter the wine industry. Prior to starting WOW, he spent six years selling premium wines and working as a sales manager for a small independent wholesale distributor based in Indianapolis. Other Activities that David enjoys are going to auto races and movies, grilling food and enjoying it and fine wine with his friends and family. My interest in wine goes back to when my husband and I visited Napa in 1986. Since then, we have had the good fortune to visit wineries in France, Italy, Germany, Argentina, California, Oregon and Washington. 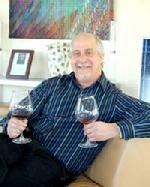 After retiring from teaching middle school band for 35 years, I joined World of Wines as a sales representative. I thoroughly enjoy calling on accounts and sharing my love of wine. I also coninue to use my classical training in music by tutoring young people, as well as playing clarinette in the South Shore Orchestra in Valparaiso, Indiana. Tim Hoban, Sales - I am a native of South Bend, Indiana, and a former English teacher. I started working in wine sales for Monarch Beverage and then worked for several other large and medium size wine wholsalers before I decided to join World of Wines in June, 2013. Taylor Smith, Sales - I am a wine travel and visual art veteran who spent her formative years living on Germany and Italy after graduating from Indiana University in Bloomington, Indiana, studying business and public policy with a dual German language and Fine Arts minor. I subsequently studied contemporary fine art in Nürnberg and Berlin, Germany at the Academy of Fine Arts. From an early age, I experienced first-hand global travel and memorable vineyard experiences. As an accomplished contemporary visual artist , I often incorporate the themes of science nd wine into my abstract paintings and includes the Mondavi Family, wine critic Robert Parker, Jr. and the Charles Krug Winery among my collectors. I am handy with a champagne bottle and the noble art of Champagne sabrage, the act of opening a champagne bottle with a saber. I love international tavel, snow skiing, camping and wine tasting.